On Wednesday, July 4, 2018, our Mercator Fellow John Mowitt spoke about “Tracks from the Crypt.” The public talk commenced at 6 p.m. (c.t.) in Room 7.214 of the IG-Farben Building. David Bowie’s 2015 Blackstar has been understood by critics and fans alike to have a certain valedictory status. For them, perhaps for us, it is a 39 minute and 13 second farewell. A long goodbye. My angle is different. 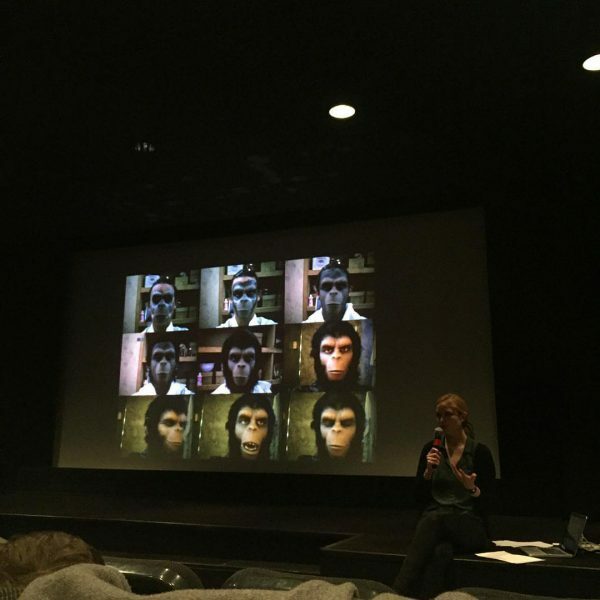 By situating the Bowie/Renck collaboration on “Lazarus” in the context of a meditation on the question once asked by Georg Stanitzek, “Was ist Kommunikation?” I consider the CD and the video as strategies of reconfiguration. More specifically, by thinking about the distinctly cinematic iteration of the question of communication (citing here the Captain’s “what we have here is . . . failure to communicate” from Cool Hand Luke) I propose that mediated (maybe even mass) communication embodies the Ich/Es modality of dialogue repudiated, even feared, by Buber. What this invites us to consider is whether “Lazarus” in particular isn’t the generation of an audiovisual tombeau from which or out of which communication strains to be heard. Is it “saying” farewell? Is it “saying” anything? By drawing on Jacques Derrida’s appropriation of the crypt in the work of Abraham and Torok, I propose that “Lazarus” manages (and the feat is neither small nor insignificant) to communicate nothing. In effect, “Lazarus” is the very sound, not of a failure to communicate, but of a saying emptied of what protects it from mediation. Here, Bowie’s gnomic persona assumes a political valence not typically ascribed to it. Screenshot from David Bowie: Lazarus, Videoclip, Youtube. 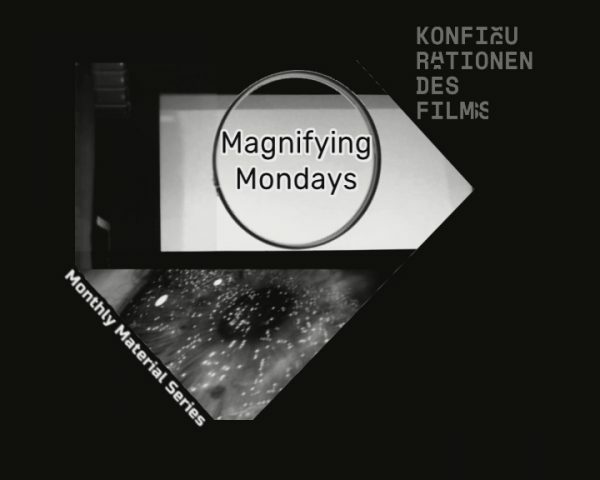 The research collective "Configurations of Film" would kindly like to invite you to the material series "Magnifying Mondays."